For 35 years, that’s all we’ve been doing: car accident cases. 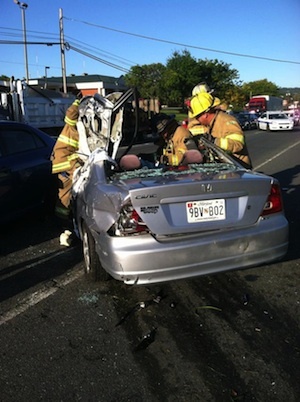 Morgenstern Injury Lawyers is the premier auto accident law firm in the Washington, DC metro area. We have obtained record verdicts and settlements on behalf of our injured clients by focusing only on car accidents. We know what it takes to recover full and fair compensation whether through settlement negotiations or going all the way to trial. A car accident is one of the most traumatic events most people will ever experience. It can be a very confusing and emotional time, particularly if serious injuries are involved. The injuries sustained often require hospitalization and months of follow-up rehabilitation, resulting in mounting medical bills and lost income. Recovering from a car accident is not only a financial challenge, but an emotional challenge as well. There are often permanent, life-changing disabilities that require victims to change everything about their daily lives. You do not have to face those challenges alone. If the negligence or carelessness of another driver caused your injuries, we can help. We will negotiate with insurance companies and other involved parties, allowing you to focus on your recovery, your family, and your future. Whatever it takes – we are there for you. And, when you contact our office you can count on getting a response within 24 hours – always. Contact Morgenstern Injury Lawyers toll free at 1-888-888-0005 or email Morgenstern@InjuryLawOnly.com for a free case evaluation.